Our Cessna Citation flight training program was designed to fulfill annual requirements for completing your CE-500 Type Rating or a PIC/SIC Recurrent Training. Built by Aeronautical Systems Engineering, our FAA Qualified Level D Full Flight Simulator is equipped with the Honeywell Primus 1000 Avionics. 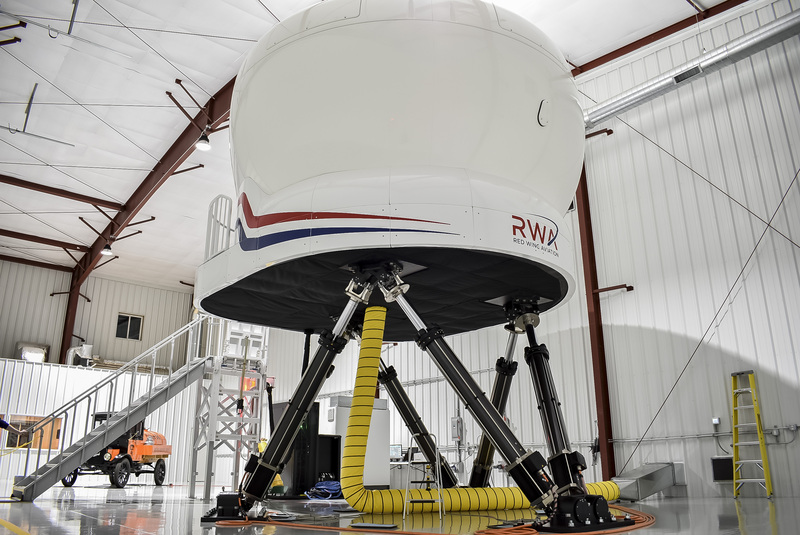 Recurrent Training Center, An ASE Company, has partnered with Red Wing Aeroplane (RWA) to bring Cessna Citation Flight Training to the Midwest. We linked up with RWA to design and build a premium training program with the knowledge of experience from pilots who fly the actual aircraft. For information regarding training for non-US citizens, click here. Recurrent Training Center’s Cessna Citation Ultra Initial Training is a comprehensive program designed as an introductory course to the CE-500 Type aircraft. First, our ground school is thorough and takes a pilot through general information regarding electrical, hydraulic, powerplant, communication equipment, cockpit familiarization, use of checklists, and much more. Recurrent Training Center’s Cessna Citation Ultra Recurrent Training is a training program built around keeping a pilot annually current. Our goal is to help the pilot begin becoming more efficient with both normal and abnormal emergency procedures. Our flight training takes place in our Level D Full Flight Simulator equipped with the Honeywell Primus 1000 Avionics. Designed and manufactured by Aeronautical Systems Engineering in 2018, our simulator boasts a motion platform with 6-Degrees of Freedom along with a realistic amplitude and frequency of flight deck noises and sounds. In addition, this device features an outside world (OTW) visual system and yields a Field Of View of 176°x31°.